Telecom company Sprint has shared some of its plans when it comes to 5G service in the U.S. The company announced at MWC in Barcelona that mobile customers in Atlanta, Chicago, Dallas and Kansas City can expect 5G service as soon as May 2019. 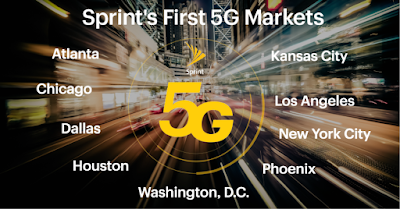 If you don’t live in one of those cities, maybe you live in Houston, Los Angeles, New York City, Phoenix or Washington, D.C., Sprint also promises 5G coverage in those cities soon after the initial launch, at some point before the end of June 2019. 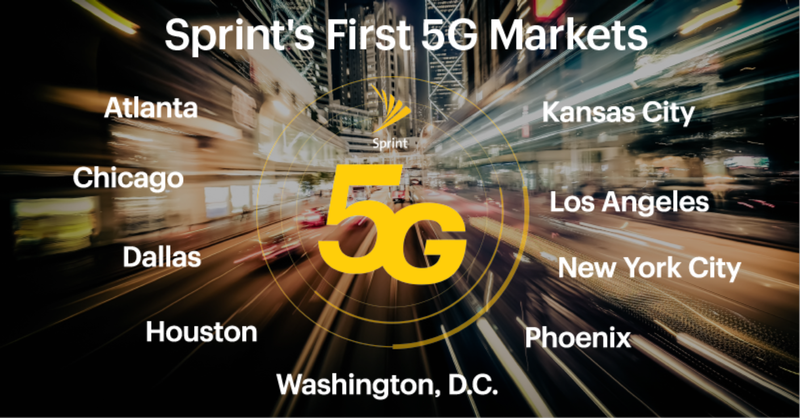 Overall, Sprint expects to cover 1,000 square miles in nine cities by the end of the first half of 2019. It’s going to take years to roll out 5G coverage across the U.S. When it comes to devices, Sprint will sell smartphones that are compatible with its 5G network. The first one will be the LG V50 ThinQ 5G. The company will also sell the Samsung Galaxy S10 5G at some point this summer. Sprint is also partnering with Google so that Google Fi customers can take advantage of Sprint’s 5G network if they have a compatible device. It’s still unclear whether 5G plans are going to cost more.